Lighting-Gallery-net - Incandescent - General Service 25-100 watt/VossCo 60w 28,500 hour bulb *Made in USA* Ever seen one? 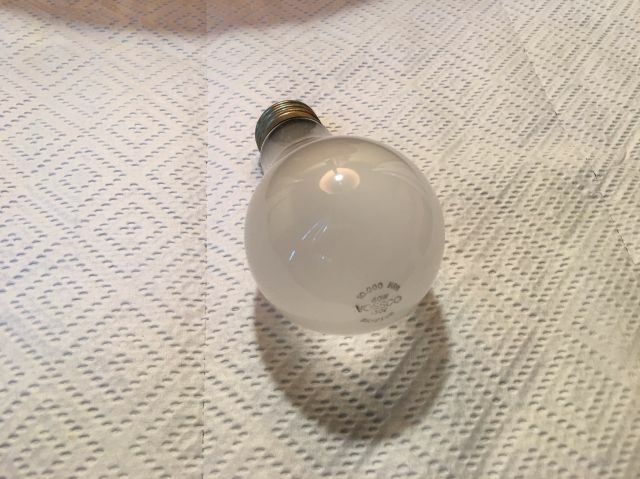 VossCo 60w 28,500 hour bulb *Made in USA* Ever seen one? Got a bunch of these on a summer trip to Arizona. Not a lot of VossCo brand bulbs in California but apparently plentiful in Arizona. The 28,500 hour life is for 120v operation. Never heard of this particular make before. It's just a brand name for a lighting and electrical supply house, which has several locations across the country. Wow! never heard that brand.